Pasta frola is a tart made in Uruguay and Argentina, traditionally filled with softened quince paste. 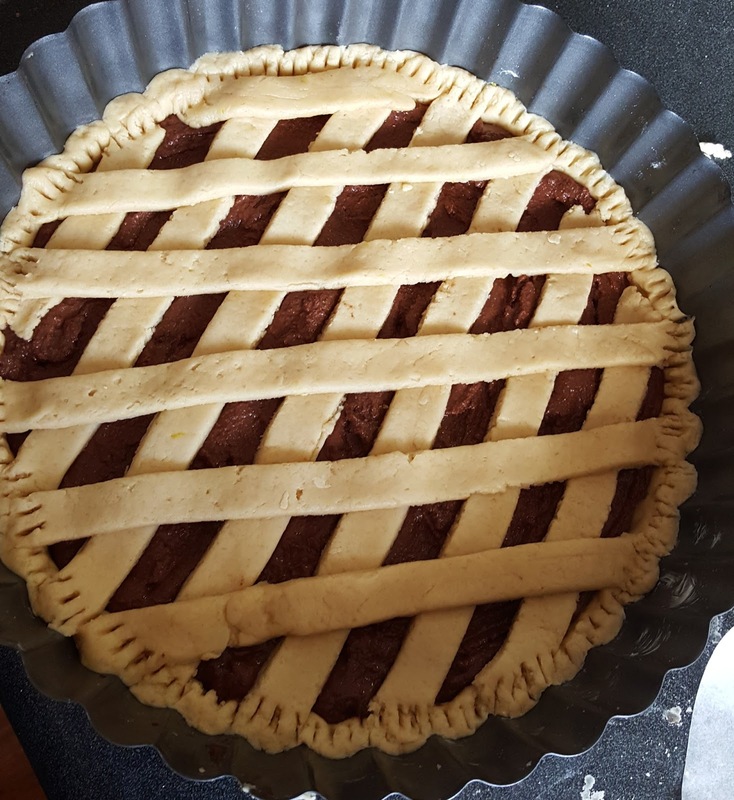 I have been making this tart all my life, and I have now converted the recipe to be vegan. 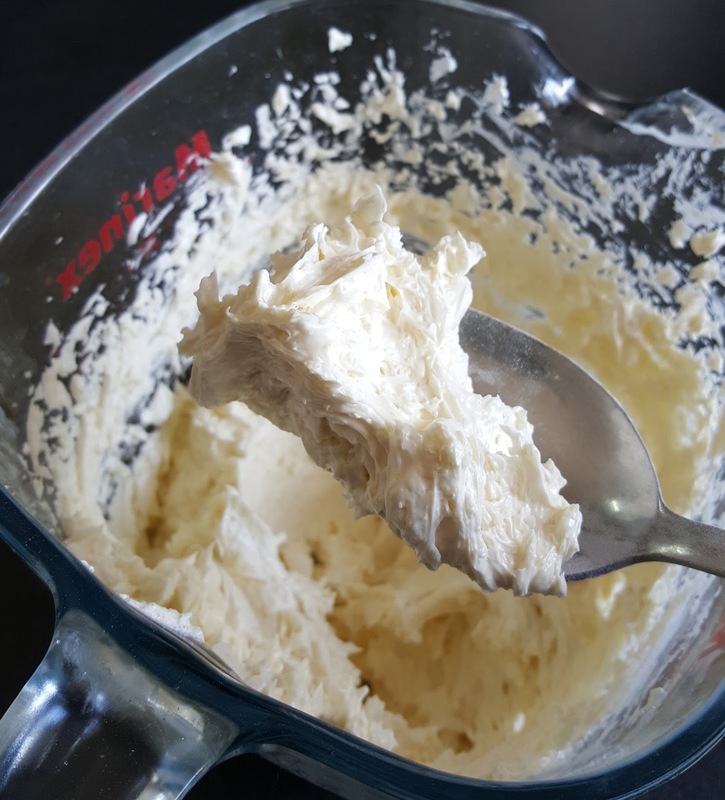 The original recipe came in a little pamphlet that was distributed with Royal baking powder in Uruguay. This is the original recipe in Spanish. I used spelt flour instead of regular wheat flour, subbed the eggs for a thick aqua faba and used Nuttelex Buttery to replace the butter. I also filled it with a hazelnut paste that I made yesterday. Here is my updated recipe. 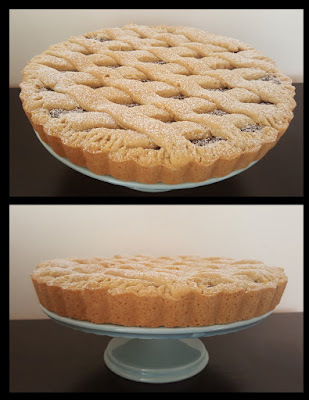 Prepare a 23cm tart tin or pan by greasing with nuttlex. Set aside. Add lemon rind and mix till incorporated. Spread the hazelnut chocolate mix and use the remaining dough to decorate with strips. Bake for approximately 30 minutes. 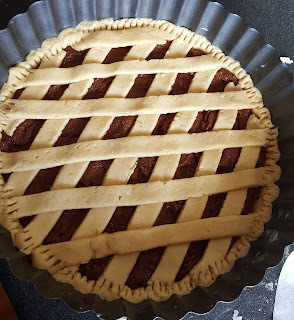 The tart should not brown. Remove from oven and allow to cool, sprinkle lightly with icing sugar and serve cold. Boil hazelnuts in water for 30 minutes or until softened. Remove as much of the skins as possible. Blend hazelnuts with remaining ingredients until a smooth paste is formed. Use as desired, on pancakes or on a tart.